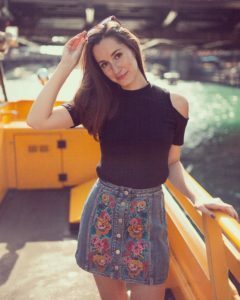 Hey, I’m Allison – A Chicago-based blogger who’s here to show you that being gluten-free and healthy can be an everyday affair. I also have a thought or two about how to be financially savvy in your twenties…and beyond! So why read my blog? My sister was diagnosed with celiac disease her Junior year of high school, and I with a gluten allergy not too long after that. Going gluten-free changed my life in lots of positive ways: my migraines disappeared, my digestion became more regular, and my itchy skin (which was constant) subsided for the most part. While these things made my life much better, the gluten-free lifestyle came with challenges of its own. Traveling, entertaining, even dating can be tricky when dealing with gluten. So I like to share my go-to recipes and favorite gluten-free products for those who might be new to the gluten-free lifestyle or are looking for inspiration. Looking for a gluten-free restaurant in Chicago? Charleston? Nashville? Breckenridge? Check out my restaurant reviews here on the blog and on the Find Me Gluten Free App. I take my reviews seriously when it comes to cross contamination- so have no fear, no gluten here. SO, have a scroll through, and let me know what you’d like to hear about most from me. (Seriously shoot me an email– I made a page on the blog just for that!) While this blog is my opinion on life, I hope to positively impact yours, whether it be in the form of a restaurant review, a step-by-step tutorial on budgeting, or an all natural body scrub that’s already waiting for you in your existing pantry. Life’s a beach(am) and I’m just playing in the sand.